MeineSpielzeugkiste is the market leader for the online rental of children's toys and has currently finalized the biggest financing round in the company's history. MeineSpielzeugkiste is a sharing platform for children's toys. Families can borrow high-quality, popular toys without being obliged to buy them. We have firmly established ourselves on the market and co-operate with almost all major toy manufacturers. MeineSpielzeugkiste now receives growth financing of at least 1.7 million euro from a renowned venture capital firm and existing investors. As part of the equity-based, co-financing, Companists also have the chance to participate. MeineSpielzeugkiste is the market leader for online toy rentals. Families can borrow high-quality, popular toys without having to buy them. As a result, families not only save money and space in their children's room, they also protect the environment at the same time - the toy flat-rate saves around 80% on CO2 emissions compared with conventional toy purchases. We now face the biggest round of financing in the company's history - after months of testing and tough negotiations, professional investors have invested upwards of €1.2 million in MeineSpielzeugkiste. We are proud to be able to offer the Companists the opportunity to invest simultaneously with a VC company and business angels. The Companists that go back to 2013 have accompanied us through four eventful years. In the past 12 months, we have increased our sales to over €738,000 and have made MeineSpielzeugkiste the market leader for toy sharing. The brand is now known all over Germany and thanks to “Höhle der Löwen” (The Lion’s Den) we gained Frank Thelen and Jochen Schweizer (a retrospect video 2015 on VOX) as investors. Some things we learned the hard way, however. At the beginning of 2016, a large investor withdrew his investment. This slowed our growth and we were forced to achieve a great deal with far less liquidity than planned. We used this crisis to identify and expand our most successful customer acquisition channels - social media Influencers and email marketing. We also restructured and streamlined our logistical processes. The hard work and our perseverance have paid off. We have emerged from these challenges more resilient and more capable. Today, we have a strong team of 12 permanent employees, as well as scalable marketing channels, and reprocessing skills that are efficient enough for a large online retailer to entrust us with their returns processing. Together with our new investor BonVenture and our media partner ProSiebenSat.1, we can now concentrate fully on growth. Our target is to gain roughly 20,000 subscribers by the end of 2018. Parents know the problem only too well: Their child would like to have a toy railroad and the parents feel as if they have to dig deep into their pockets to get one. Two weeks later, it’s sitting on a heap of other unused toys and their child wants something else. We have developed the perfect solution for this common problem with our toy flat-rate: Families can select high-quality branded toys (from Ravensburger, Fisher Price or Brio) online and have them delivered to their home free of charge. When their child loses interest, they can simply send them back and exchange them for new toys. The highlight: Parents don’t have to buy any of these toys - they only pay a monthly membership fee. We offer high-quality toys for children between the ages of 0-12 years that have been recommended by experts. Our customers receive online recommendations regarding which toys suit their child best, according to which stage of life the child is currently in. This means that parents can assist their children’s intellectual development as much as possible without having to constantly buy and store new toys. At present, we have expanded our range to 250 toys from approximately 30 brands, such as Playmobil, Ravensburger, Hasbro, Haba and LEGO. A family spends an average of €400 per year on toys. With our Mega Box children can play with toys worth €800 - 1,200 per year, while the parents only pay roughly €200 per year (€18 per month). The heart of the business model of MeineSpielzeugkiste is providing a toy flat-rate for families using a subscription plan, as well as cooperating with toy manufacturers. The big advantage of the subscription plan is stable monthly sales. Every customer pays a monthly contribution of €4.99 to €34.99 (€18.50 on average) for the toy flat-rate. It doesn’t matter how often a customer swaps his or her box. The following graph shows a schematic representation of the conversion of sales compared with the contribution margin for a single customer in one month. The contribution margin amounts to more than 40%, which means that we generate higher contribution margins than, for example, the classic toy business with a contribution margin of approx. 25%. We have identified 3 marketing channels that will help us grow sustainably, efficiently and cost-effectively. With the approximately 800 social media influencers currently on Instagram (including many profiles with wide coverage, such as Labellda) we gain about 35% of our new customers monthly. On Instagram, roughly 1.4 million mothers have been reached in German-speaking countries alone. This channel still has huge potential that we will be able to further tap into through targeted investments. In the test campaigns with Super RTL and ProSiebenSat.1, we were able to gain customers for less than €50 - although test campaigns can't be tweaked to target groups, in general. We have also seen that customers from TV campaigns sign up for subscriptions more than the average customer. Evidently, the trust in brands seen on television remains high in Germany. That’s why in 2017 and 2018, together with our partner ProSiebenSat.1, we will be implementing further streamlined TV campaigns. We have developed a method of efficiently acquiring customers through automated and personalized email communication. Currently, this is our strongest customer acquisition channel, which is already proving us with more than 40% of our new customers. Our e-mail marketing system is so efficient, in fact, that we have sold seminars and consultations to a publishing house. In addition to new customer growth, the success of MeineSpielzeugkiste depends on how long our customers remain with us - this is what we call as "Customer Lifetime”, measured in months. Since we reach a positive contribution margin every month, Customer Lifetime determines the profitability of our subscription model. After five months, a customer breaks even and starts to generate a profit. With the current average subscription length of the 16 months, we achieve a contribution margin of around €75 per customer. 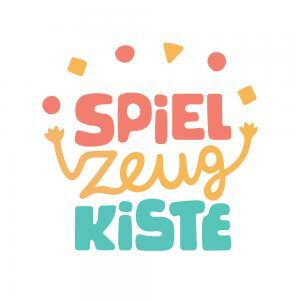 The sustainable and sensible model of MeineSpielzeugkiste has won a large number of supporters and fans in social media over the years, especially on Instagram. A community of about 800 mothers writes and posts very enthusiastically, showing genuine interest, on Instagram about their experience with MySpielzeugkiste. As a result, we are not only finding new customers but also gaining access to manufacturers who wish to benefit from MeineSpielzeugkiste’s reputation and outreach. Almost all toy major manufacturers already cooperate with us. The high level of acceptance of the industry is immensely important. The partnerships and joint marketing campaigns allow us to receive a low purchasing price. MeineSpielzeugkiste is a subscription-based toy rental provider. From the beginning, we created a win-win situation between our subscribers and toy manufacturers. At this point in time, we have also become an additional marketing channel for manufacturers and popular toys. This is a classic case of a counter transaction. We offer toy manufacturers media services for their products. These consist of individually combinable media packages of social media (Instagram / Facebook), newsletters, flyers and TV adverts. In return, we benefit by acquiring goods with very high discounts. We receive an average purchasing discount of 35% to 73% of the industry-standard - cheaper than any other toy dealer. Thanks to the positive outcome of previous campaigns, we have follow-up bookings for this year and were able to convince further manufacturers to work together with us. There are 7 million families in Germany with children under the age of 13 who spend approximately €3.2 billion annually on children's toys. Our core target group are families with 1-2 children under 7 years of age. It is a reality that children at preschool age create a demand for a constantly changing array of toys. In doing so, we mainly address mothers, who usually make the choice of toys. The global market for toys is growing annually despite falling birth rates in many countries. It currently amounts to €91 billion. This means that almost as much money is spent on toys worldwide as on taxis. After the US, Europe is the strongest single market with €16 billion, €4 billion of which is in DACH countries and €3.2 billion in Germany alone. With the completion of this financing round, we will invest €70,000 in expanding our range. In this way, we can quickly reach the critical threshold of 500 different toys. This will allow customers to use the toy flat-rate for many months without any risk of any repetition. During the next growth phase, we will strive to open up another large target group in cooperation with our large partners through the implementation of the “Mieten mit MeineSpielzeugkiste” (Rent with My Toy Box) buttons. We are investing in the further development of influencers on Instagram as well as in the expansion of email marketing by introducing a more professional tool (approx. €10,000). We know from our previous two successful TV campaigns that TV is a strong channel with which we can make our brand increasingly widely known and build up further customer acceptance. TV also has a positive knock-on effect on all other marketing channels. For this reason, we are currently negotiating a TV campaign with our shareholder ProSiebenSat.1 - which will be broadcast later this year. We will offer families items other than toys in the future. Currently, we are testing neighboring fields of business, such as children's furniture and playground equipment. This brings us one step closer to our overall goal of offering families everything they need for their children. Test out our service and give us feedback. The first month is free for Companists with the promotional code COMPANISTO2017. No kids but you would like to help? It’s quite likely that you have some family members for whom our service could be helpful. Tell them about us and send them the promotional code COMPANISTO2017 for a free month’s trial. Or even better - just give them one of our popular vouchers. We see ourselves as a company that contributes positively to solving some of the social and environmental problems of our modern-day society. The sharing economy saves 80% of the CO2 emissions compared to conventional purchases. Children learn early on to appreciate the benefits of sharing and renting. They will later adapt this consumer behavior to other areas in their lives. We have a positive impact on our environment today. We also work together towards a future in which these habits have a beneficial knock-on effect by raising children for whom renting and sharing, rather than buying, is completely normal. To our best knowledge, it appears that particularly in low-income families, less value is placed on high-quality toys. According to a Bitkom study, TV and video games are the most popular and frequent forms of entertaining of children in these households. We want to allow for these children to, at the very least, have access to high-quality toys in order to encourage development in the first years of their life. Therefore, we are currently awarding 5% of our subscriptions to families who receive welfare assistance. Since this has been very well received, we are planning to set up a charitable organization that is able to obtain funding. This will allow more children from economically impoverished backgrounds to access high-quality toys, thereby helping with their intellectual and creative development.